Chronic pain and stress have a unique and unhealthy relationship with each other that can leave you mentally and physically suffering in its wake. Learning to manage your stress can significantly help you ease your chronic pain, and to understand how, we must take a look at your brain. Stress is caused by a myriad of triggers that vary for each person. Stress affects each person’s body in a different way, but there are some commonalities. Like headaches, poor sleep, stomach aches, and even Irritable Bowel Syndrome. Stressed people also experience neck, shoulder, and back pain more frequently due to stress causing muscle tension but also due to changes in your brain chemicals. Prolonged stress alters the effectiveness of cortisol, which regulates the inflammatory response because it decreases tissue sensitivity to the hormone. What does that have to do with chronic pain? Well.. The brain protects us, somewhat, from pain in a way that we can deal with the pain but remain functional. Pain is regulated by the nervous system, which makes your brain an important player in the pain game. Pain signals enter your brain, and your brain then tries to block and soften those signals. When you’re stressed, your brain’s ability to filter those pain signals is affected and pain can increase. Cue in chronic Pain which is associated with the body’s lost ability to regulate the inflammatory response. Stress and pain create a nasty cycle but managing stress will lead you to a better mental state, which will allow your brain to properly filter out the pain. How do you break the cycle? Well, there are a lot of different articles on how to reduce stress but there is one alternative therapy that has been proven to help not only reduce your stress but chronic pain too. 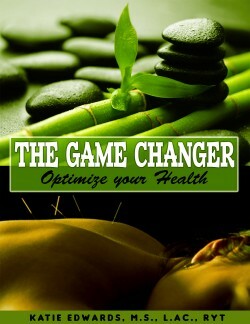 Acupuncture is the practice of inserting tiny needles into certain areas of your body. The insertion of needles releases endorphins, which is your body’s natural pain killer. If you suffer from stress, chronic pain or both, reach out today to learn more about acupuncture and how alternative therapies can help you.